The weekend is coming. And with it, your roster of entertainment possibilities. Which are legion. 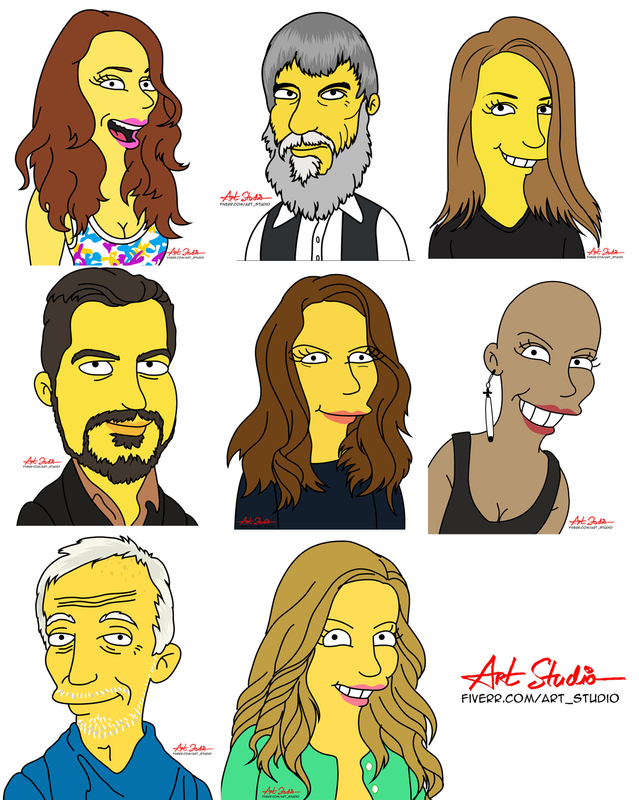 Just about the most exciting thing on the spring calendar is finally here: Portland Playhouse takes on Anne Washburn’s MR. BURNS. You’ll travel indoors and out to three different sets for this epic. Opening night is Saturday. Mr. Burns is back in town. And he’s taken up at Portland Playhouse. Also jockeying for position on Saturday night is PICA’s 20th anniversary gala: TADADA!. Come for the dinner if you’re feeling flush. But whatever you do, don’t miss the after-party helmed by Pepper Pepper. 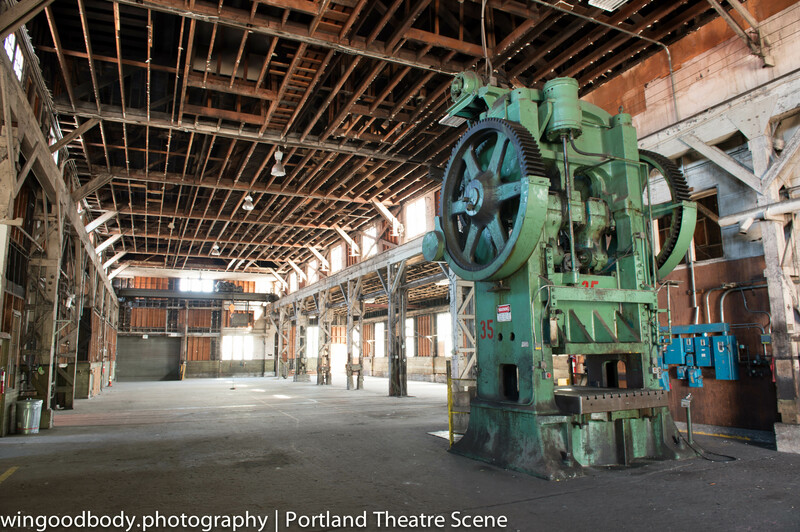 It’s all happening at The Redd, Ecotrust’s new event space on SE Salmon Street. The Redd. One of the biggest parties of the year is going to be right here in two days. And still ANOTHER Saturday night gem is a remount of David Saffert’s Liberace pageant at Curious Comedy. Mr. Fabulous is back. One night only at Curious Comedy. And for your Sunday night, perhaps you’ve heard of a certain play by Richard Greenberg coming to town? No, you probably haven’t heard of it that way. 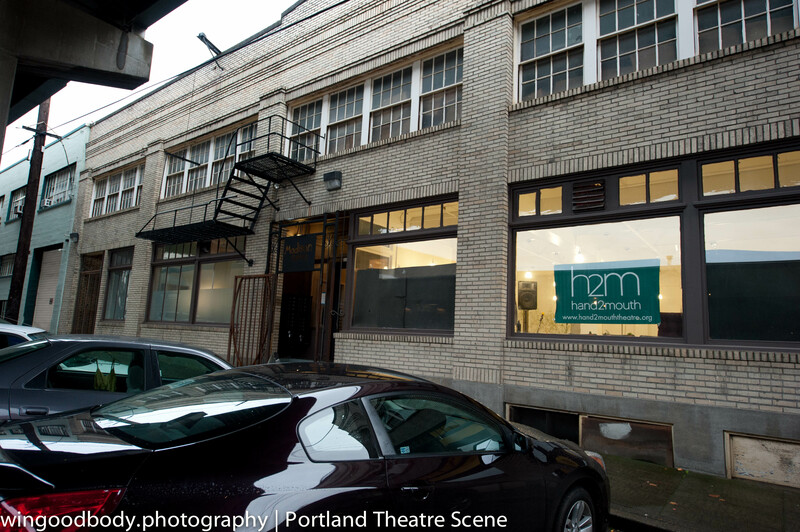 But you probably have heard that two TV stars from Grimm are in a show at Portland Center Stage. Ah yes. That one. Sunday night is the first preview. And if you’re the pro active, plan ahead type – next Monday at PCS the Improv All Stars are back. 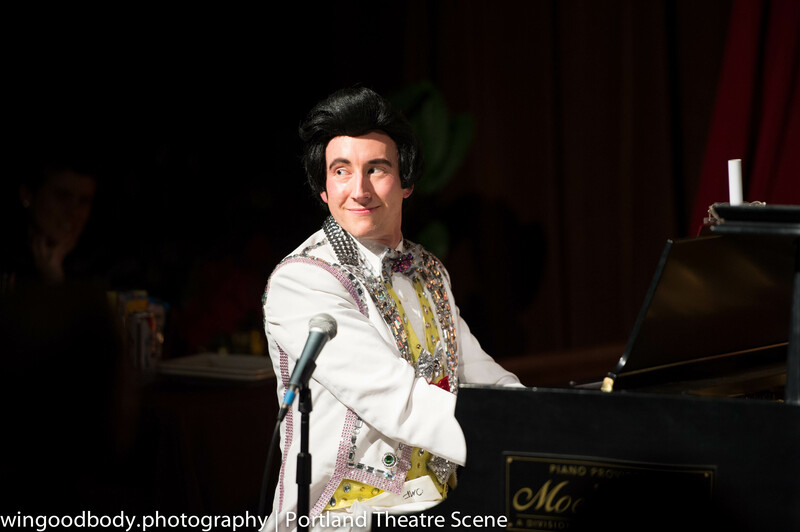 5.16 Curious Comedy – David Saffert’s LIBERACE: A BIRTHDAY CELEBRATION! 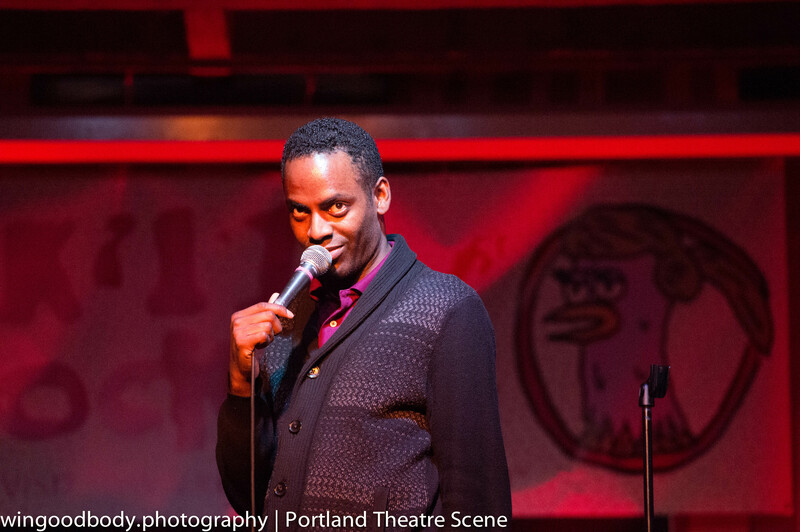 Baron Vaughan, aka @barvonblaq, MC’s New Negroes opening night at Doug Fir in the 2015 Bridgetown Comedy Festival. While the booming Bridgetown Comedy Festival may be sucking up a fair amount of oxygen around Portland’s smaller scale performance scene this weekend, don’t limit yourself to non stop laughs with some of the best comics around for three days straight. Because there’s plenty of theatre on tap as well. Remember when Monday used to be an off night? Now it’s one of the best nights for smaller companies and performers to get an audience. There are two great options for you this coming Monday. And if you’re a logistics nut like some people we know, you can even make it to both of them. Monday night at 7 PM turn out to The Shout House for Dramaturgy in Process. 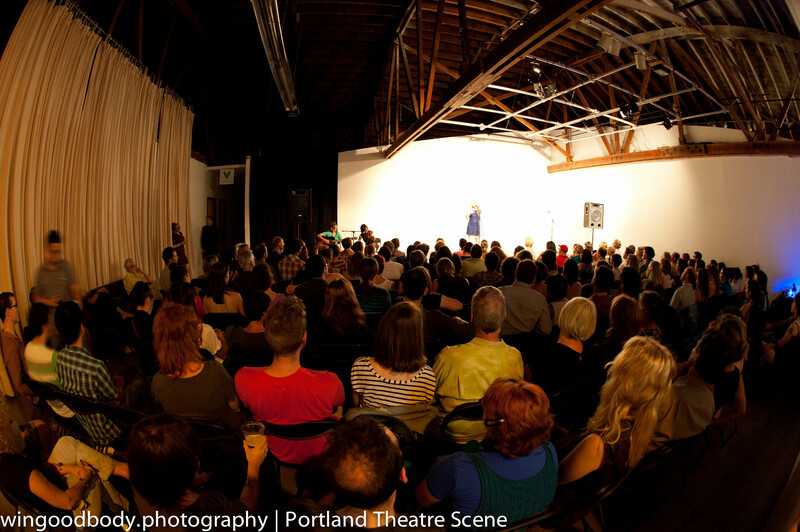 DRAMATURGY in process invites three of Portland’s most exciting dramaturgs to reflect on the role they play in the development of new work in theatre, dance, and devised performance. From the good folks at Entertainment for People, a new and growing format that showcases new material from top Portland talents. The show will be on the existing set for THE LION – so expect some extra glam factor. The lineup Monday night at PCS. Be there – or get a story together to explain to Vin Shambry why you weren’t. And in the audience – you. SOLD OUT. At a previous packed Entertainment for People show. Announcing Post5 Theatre’s first production in their all new black box space.